Loved at Last Dog Rescue | Adopt a Rescue Dog! 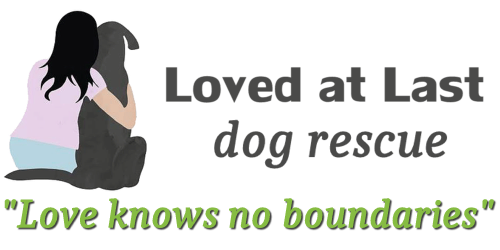 Loved at Last Dog Rescue is a Vancouver based, registered non-profit organization which re-homes local dogs and international stray dogs from developing countries to adoptive homes in the local area. Our organization has partnered with compassionate individuals in the Middle East, Bahrain, India, Turkey, Mexico, Vietnam and other countries. Loved at Last would like to say thank you to all of our volunteers, adopters, and rescuers for helping us find homes for 219 dogs (and 2 cats) during 2018. Without our supporters and adopters, most of these dogs would live short, difficult lives, each new day a challenge to find enough food to stay alive while trying to avoid people intent on torturing or killing them. The lucky ones are rescued, restored to health and rehabilitated by compassionate individuals who then reach out to rescues in Canada for help finding them loving homes. All of the dogs are treated for any known injuries and illnesses and are micro-chipped and vaccinated. Any dogs eight months of age or older will also have been spayed or neutered (or identified). Many of them will have a missing limb that had to be amputated to save their lives. When they are ready to travel and a foster or adoptive home has been found for them, they are flown to Vancouver, BC to start their new and much improved lives. Dogs from Mexico might not be micro-chipped but we are able to provide the chip for you to arrange for your vet to insert. Unless identified, the dogs are NOT in BC and still need to be transported here. Look for dogs that say (LOCAL) beside their names. Those dogs have arrived and can be met once an application has been approved. We do not have a shelter and so try not to bring dogs over that do not have an approved home. © 2017 Loved at Last Dog Rescue. All rights reserved.